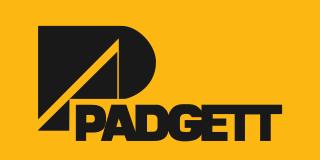 Padgett Inc. is a high-performance organization that sets the pace in the Crane Services, Steel Fabrication & Erections and Machinery Moving/Rigging industry. Padgett Inc. is a respected drug free company since 1962 with quality workmanship. Our employees are the key to Company’s competitive success. We are looking for employees to help us continue on the tradition at Padgett Inc. When pursuing a career you want to be apart of a company that has been and will be around for a long time, Padgett Inc is just that company. We are committed to helping our employees to reach their full potential and to recognizing their achievements. Padgett Inc. is an Equal Opportunity Employer, (Minority/Female/Disability/Vet). Prepares cost estimates for product manufacturing, construction projects, or services to aid management in bidding on or determining price of product or service. Generate new business, via bidding process. Prepare complete bid packages for structural & miscellaneous steel fabrication projects including take off of steel materials estimate all necessary shop labor, estimate materials, buyout items, equipment cost etc. To prepare a thorough bid estimate – review bid documents; Communicate with customers, architects and engineers for bid related items. Obtain subcontractor and vendor quotes. Post bid follow up and negotiations. Prepare extra work/change order estimates as required. Professional, self-motivated individual with a minimum of 5 years Fabrication steel estimating experience. Ability to read and interpret design drawings, specifications and bid documents. Knowledge and understanding of fabrication processes, IBC building codes, AISC standards, AWS codes. Strong computer skills (Excel, Word, Outlook). Must able to read and interpret job specifications, document project activity and have ability for continuous learning of new processes. Efficiently answer and respond to questions regarding projects and resolve maintenance issues without supervision. Ability to work in fast-paced, high volume environment and ensure department and company goals and deadlines are met on schedule and efficiently. Safety certifications and OSHA compliance. Keeps equipment available for use by completing preventive maintenance schedules; installing component and part upgrades; controlling corrosion; completing weatherization procedures. High school diploma/GED or commensurate work experience as a Diesel mechanics. Takes independent actions and calculated risks; responds promptly to customer needs, seeks opportunities to improve processes and implements creative solutions. Provides full attention to what other people are saying, respectfully communicates by taking time to understand the points being made and asks questions at appropriate times to obtain clarification. Prefer vocational or technical training to operate machinery or minimum 5 years related experience. Must be able to travel; may assist in other shop areas at management discretion. Must have valid driver’s license and be able to operate ground carts and forklift equipment. Good physical condition required – some lifting and outside work. Lifting up to 80 pounds, and 50 pound repetitively. Interpreting architectural and structural drawings and supporting documents to provide an estimate for fabrication and/or assist in take-offs. Complete material take–offs of structural and miscellaneous steel for Fabrication Quotations. Supplying information to Estimators bidding structural & misc. steel erection & installation. Contacting contractors for clarifications of bid documents, preparing quotation letter for Estimator and sending out quotes after the approval process. Review design drawings and specifications using discretion and industry standards. Inputting information into Fabtrol based on size, shapes & configuration for quantity & labor hours. Follow up with contractors after the bidding process for results & information. Maintains a protocol of documents in such a way that information can be retrieved and understood by others. Computer & fundamental CAD skills helpful. Able to read and interpret Structural & Architectural drawings. Read and interpret job specifications & documents.